Rhode series is designed for bathers who enjoy the sauna pool feeling. The large 60-gallon capacity opening creates an even, rounded-corner bathing cradle. Classic bathtub design goes well with standard as well as modern, and contemporary. Sapphire 5 ft. 6-Inch Acrylic Drop-in Left Drain Rectangular Whirlpool Bathtub Aromatherapy in White Sapphire series bathtubs resemble simplicity set in classic design. A rectangular, minimalism-inspired design turns simplicity of square forms into perfection of symmetry. 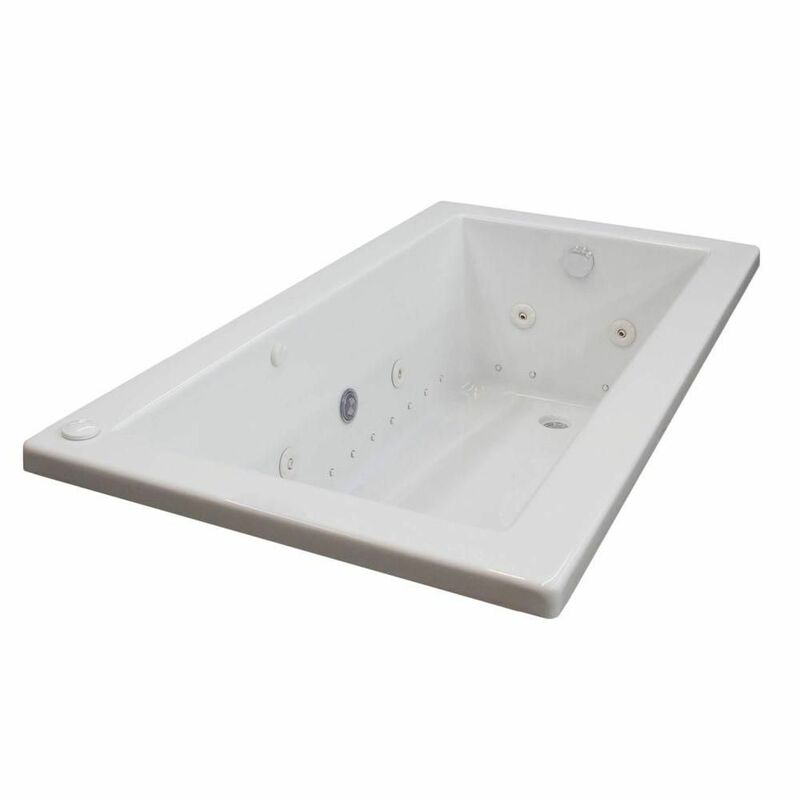 Sapphire 5 ft. 6-Inch Acrylic Drop-in Left Drain Rectangular Whirlpool Bathtub Aromatherapy in White is rated 2.0 out of 5 by 1. Rated 2 out of 5 by Zachary from Overall quality of the tub was sub par for what... Overall quality of the tub was sub par for what I was expecting. Fittings on the pumps were loose, pump mounting hardware was inadequate and not enough was used. They want you to pay for their drain and overflow assembly that cost more than 4 times what one at Home Depot cost.